WILLISTON, VT (March 26, 2012) – Rally America and New Jersey Motorsports Park (NJMP) present the 2012 Rally America U.S. Rallycross Series, with the first event being held on May 19, 2012. 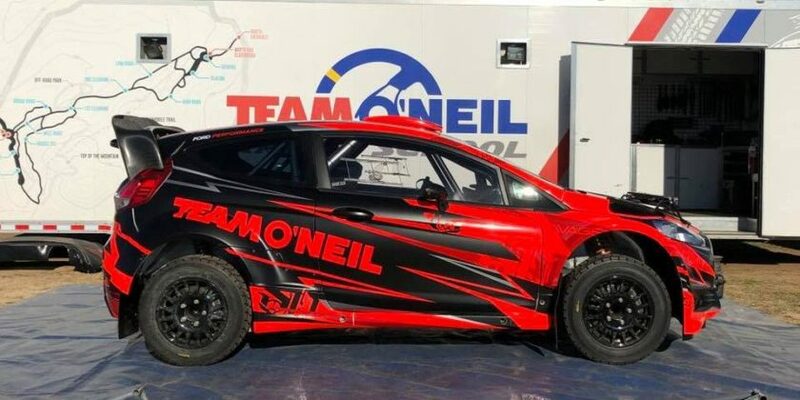 The U.S. Rallycross Series will consist of at least four events at the New Jersey Motorsports Park, with other venues to be added later in the year. The U.S. Rallycross Series marks a return to the Rally America schedule after a taking a year off from the sport. Rally America introduced Rallycross to the U.S. for the first time in 2010 with a 4-event series at New Jersey Motorsports Park and also worked closely with ESPN to introduce Rallycross competition to the very popular X Games. 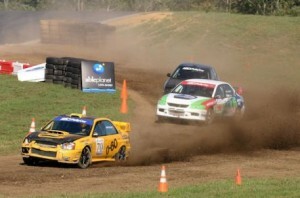 The Rallycross competition at NJMP will feature competition cars in a variety of classes (two classes for two-wheel-drive and two classes for all-wheel-drive cars) jumping and sliding on a 5/8 mile road course made up of 70% pavement and 30% gravel. Five drivers at a time will line up at the starting line piloting their cars through race traffic over a challenging short course that will feature small jumps, unbanked turns, hills and transitions between pavement and gravel. Each car must also take a “joker lap” at some point during their heat race. A “joker lap” is a small detour normally over a jump that adds a level of unpredictability to the heat’s outcome by changing a driver’s strategy in an instant. A series of exciting Supermoto races will be added to the races highlighting 250cc, 450cc and Open Class motorcycles. It is a unique twist to the racing schedule providing even more value to the overall fan experience. Adding to the fan excitement each of the four Rallycross events will include motorcycle stunt performances by TC Freestyle Entertainment Motorcycle Stunts (www.tonystunts.com) featuring Tony Carbajal who has performed at the 2011 GRAND-AA and AMA weekends at New Jersey Motorsports Park. The family-oriented day of Rallycross and Supermoto racing will also include monster truck rides, a mechanical bull, a Kids Zone and more located within the Lightning Course Paddock. Tickets are on sale now at the NJMP store (store.njmp.com/store/category/9/157/RALLYCROSS-SERIES/). Individual adult tickets are $15 online / $20 at the gate and children under 12 are $10 on-line / $15 at the gate. Families can also buy a Family Four-Pack (2 adults – 2 children) online only for $40 / $60 at the gate! Participant registration, class descriptions and rules and safety requirements can be found at http://rally-america.com/events/2012/NJMPRC1/. 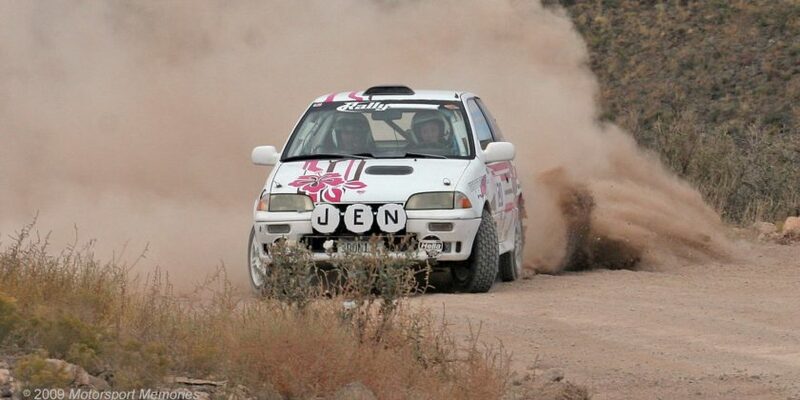 Fans who cannot attend in person can catch video coverage and results at Rally-America.com.